So this months Glossybox has done nothing but impress me. I think Mostly because we git 4 out of 5 full sized products this month. I also have to say that I absolutely love and respect the way Glossybox take the time out to make their packaging amazing. Although I love this months Glossybox, I would have to say that this was my least favourite product received. Not because I do not like it, but because I cannot find a use for it. Its a beautiful colour but it is just not for me or my skin tone. This was the only sample sized product in this months box which I do mot mind. I am happy to try it out. perfect for used after that all important bikini wax. Now out of all the contents in this box, this product is the one Im most excited to try out. Its the concept that really excites me. Its a hair shampoo foam which you just have to towel dry. no water needed. Now that exciting!! Makeup looks will be more fun with this double sided want. I already have planned tutorials to film using this. I want to also do a live review (filmed) on how I think this works. Particularly because I have never heard of this brand before. Now this is the only thing I have tried out of this months box and I must say, I am Loving it so far. I have never ever used a gel facial moisturiser before and now I am a convert. Love!! Overall I'm really glad with this months box. Especially intrigued because I have never heard of most of the products before. always happy to try new things. 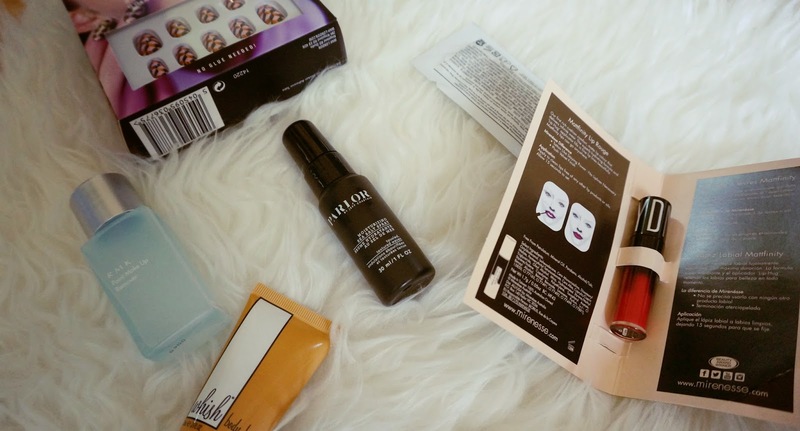 You saw May 2015 Glossybox Review here on Staceychellz first. So recently, I signed up to the monthly Birchbox subscriptions and I thought it would be a good idea to Blog and film the opening each month. I started this in april, however, technicalities took over and I lost the pictorial footage to blog :( so here is May. I hope you like this sort of post. Comment below and let me know what is your favourite type of blog posts you like to see. 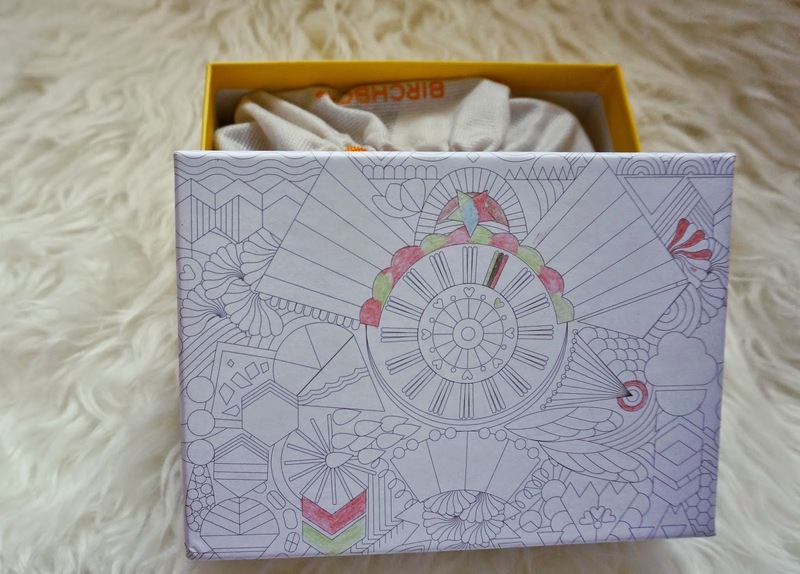 This months "Free Your Mind" box was designed to inspire us subscribers to release stress through drawing/coloring. Products in this months box I must say was disappointing for me. I was intrigued to use the PMK Point Makeup Remover and the Mirenesse Mattfinity Lip Rouge. If you want to find out more of my reactions during my unboxing of the Birchbox here is the video link below. So as previously published, here is part 2 to my beginners guide series. I hope this helps. Its been wonderful filming this series and I hope all you lovely readers/views are enjoying this series. Below is the link to the video on my YouTube Channel. I would love for you to write to me, let me know what other series you would like to see from me. The Beginners Guide part 2: Drugstore Brushes appeared on staceychellz first. So I thought it will be a good idea to give my two cents on what I think makes a great beginners guide to a personal makeup kit. I thought it would be good for my readers/viewers to see some of the things I feel is useful and what I use. I hope you find it helpful. The Beginners Guide Part 1: Drugstore Makeup Kit appeared on staceychellz first. Being in Ghana was a wonderful experience. Especially since I hadn't visited in 10 years. Yes... I know 10 YEARS!!! I promise I will never allow it to be that long again. One of the thins I wanted to see was the Cape Coast Castle. I wanted to reaquaint myself with my history. I think anyone who goes to Ghana should go there. Above are some of the pictures I managed to take.